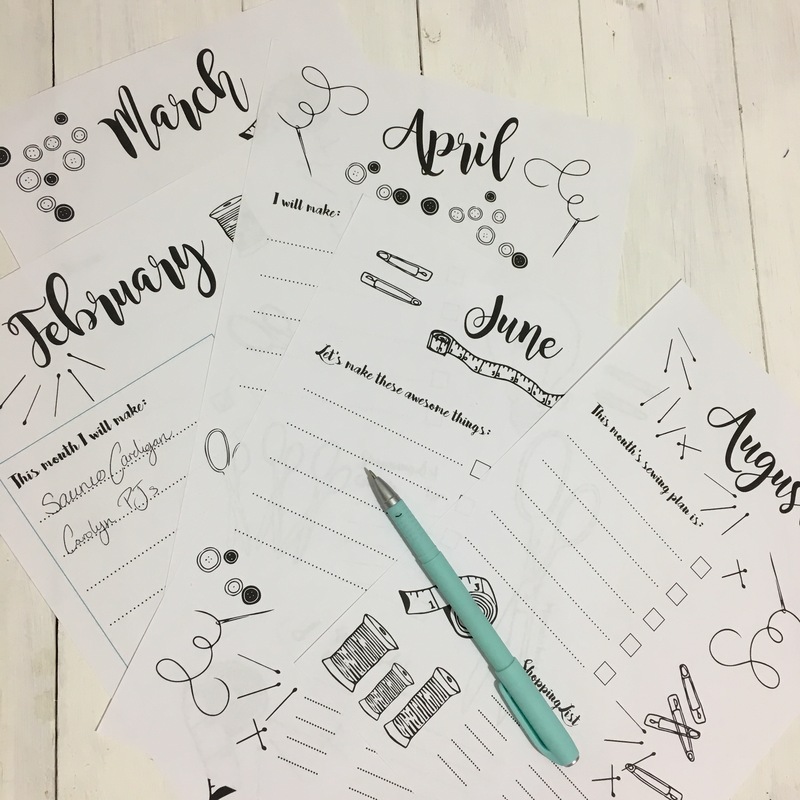 I made some monthly sewing plan printables! One of my sisters kindly made all the little illustrations for me (thanks!) so I could put these together. I had planned to be organised and make them up for January but life got in the way (as usual…). But no matter, they’re here now and I wanted to share them with you all! Click here to go to my new freebie page to download yours! Thanks these are great! I’ve been meaning to make a plan for Me Made May (so I don’t fail miserably like last year), so these will be perfect. You are such a sweetheart! Thank you so much for sharing… This is a great tool to help keep your sewing organized! These are perfect, I’ve printed in A5 and stuck into my sketchbook already! These are really good – would you mind if I printed some off to hand out to my local sewing meet up group at the end of the month? Brilliant! If you wanted to do one with your web link on there, I would be happy to hand those out? Thanks for the idea! I might just replace all of them with that addition soon. If it’s not done by the time you need them, don’t worry about it. Feel free to use them anyway!